Preferred Family Healthcare (PFH) has been awarded a second federal Regional Partnership Grant from the Administration for Children and Families (ACF) to continue a successful substance abuse treatment and family preservation program and to expand the program from four to six counties in Southwest Missouri. Project Director Chip Wolf said he anticipates the grant will allow them to serve about 288 families during the five-year project. The five-year Regional Partnership Grant - Preserving Families through Partnerships (PFTP) project began in 2013 and focuses on preservation and/or reunification of families and children who are living in homes impacted by drug and alcohol abuse. The counties served by the grant include Barry, Christian, Greene, Lawrence, Stone and Taney. These counties have been designated as federal Health Professional Shortage Areas (HPSAs) due to limited access to local health care providers. "The goal of the project is to provide intensive wraparound and case management services to families who have been impacted by substance use disorders," Wolf explained. "This is a voluntary program, but families who participate will receive increased access to substance use disorder treatment, physical health monitoring and treatment, recovery support and services, education in parenting skills, and education in economic stability, which covers things such as housing and finding employment." Referrals for the program come from the Missouri Children's Division, local juvenile officers, physicians, local drug courts, and private agencies who are already working with families in need. Each participant in the program is assigned a family advocate who coordinates community services and works closely with the family to determine their needs; and a peer recovery mentor, who provides support for the substance use recovery process. A counselor is also available if there are barriers to accessing therapy services. Therapy, in these cases, is provided in the family's home or locally by the grant counselor. "As part of the program, we partner with a diverse group of agencies and providers throughout these six counties," Wolf said. "Families in our program are referred to local agencies who offer the services they need. Our end goal is to focus on substance use recovery for the parent(s) and to insure child safety and well-being in hopes of keeping the child/children in the home permanently. In instances where the children have already been removed from the home, we work in partnership with them to achieve the stability they need." A total of 323 families were served by the first grant which ran from 2013 to 2017 and served the counties of Barry, Greene, Lawrence and Stone. "We observed many positive changes in the lives of the families we served," Wolf said. "With that grant, we addressed substance misuse, co-occurring mental health disorders and the impact of trauma on families in the child welfare system. After connecting these individuals and families with services, many completed substance abuse treatment, increased employment and income, obtained safe and stable housing, and had less involvement with the legal system. "As a result of the program, 118 children were able to remain in their homes and did not enter state placement, while another 132 children who had been removed from the home were reunited with their families, or were placed in a stable home environment," Wolf said. A significant decrease in criminal activity, including no arrests for participants after entering the program. The grant, which will total $2,988,179 over the five-year period, is paired with non-federal matching funds totaling $1,405,991. Preferred Family Healthcare currently has over 4000 employees operating in five states. Substance use disorder services, mental health services, services for individuals with developmental disabilities, child welfare services, and employment services are among the varied programs provided by the organization. 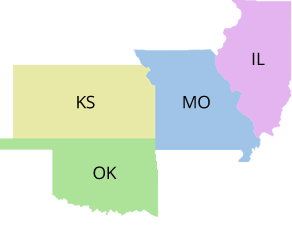 In addition, two federally qualified health centers are operated by PFH in Hannibal, Missouri and Quincy, Illinois. This grant was funded by the Children's Bureau, Administration on Children, Youth and Families, Administration for Children and Families, U.S. Department of Health and Human Services, under grant # 90CU0082. All activities and components of this grant are solely the responsibility of Preferred Family Healthcare and do not necessarily represent the official views of the Children's Bureau.